Vented ABS impact plastic thigh guards. Flexible, articulated ABS tail bone coverage. Perforated closed-cell EVA foam impact protection. 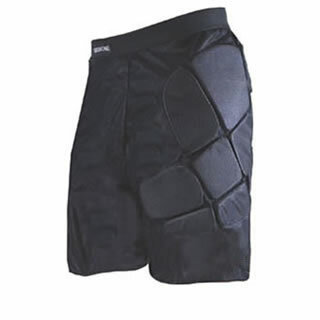 Strategically placed closed-cell foam for impact protection of hip and thigh areas. Tail-bone pads laminated with nylon and EVA foam for more protection. 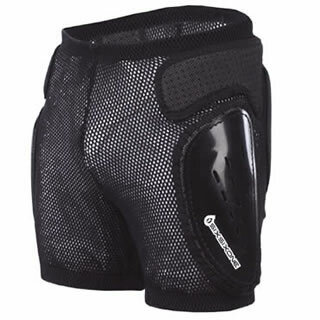 Comfortable breathable mesh short with padded crotch pad for comfort. Comfortable adjustable elastic Velcro® waist belt.